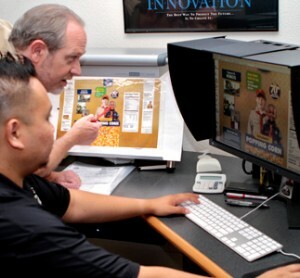 Over the years, Trisoft Graphics has become the leader in flexo prepress. But reaching that position wouldn’t have been possible without Trisoft’s customers. Their needs are rapidly changing, and we are ideally positioned to evolve with those needs. From graphic design, brand management to prepress platemaking for the packaging industry, Trisoft’s goal is to provide a range of innovative solutions and expertise, now and in the future. There’s a lot of innovation taking place in Flexible Packaging today. 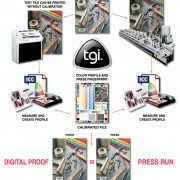 G7, GRACoL, Kodak NX, Certified Ink, one-bit-tiff dot proofs are some of these technologies. With our knowledge, expertise, and proven solutions, we can help you make the most of these innovative technologies to improve productivity and quality, and increase return on investment. Our approach is different. We integrate these technologies into solutions that address your specific needs—and do it in a way that is comprehensive, easily manageable and best of all, affordable. Trisoft Is Behind You 100%. When you work with Trisoft, you get innovative solutions and customized expertise. But that’s not all: You also have access to world-class customer service because we believe your project is our number one priority. From online job management with our InSite™ Web Portal, to state of the art color management, we are always working for you. Utilizing our graphic design services will ensure the end result effectively promotes your product and company. We will take the time to talk with you about your specific needs and ideas so they can be incorporated into the final design. Trisoft Graphics Inc. has been in business since 1993 with more than 20 years experience specializing in flexography, graphic design, pre-press and platemaking. Our talented and experienced graphic artists, are dedicated to the highest standards of quality and excellence with the creative ability to make your art stand out above the competition. Trisoft’s superb production team will ensure that your job will run smoothly on press. Our production artists are experienced in all aspects of the Printing Industry, including the capabilities and drawbacks of each system, and will adjust your art accordingly for maximum possible quality. Our Art Department can provide customized Trapping and Color Correction to achieve optimum quality on your project. Color management tools and techniques. ICC profiled digital one bit dot proofs. Advanced pre-press techniques & methods. 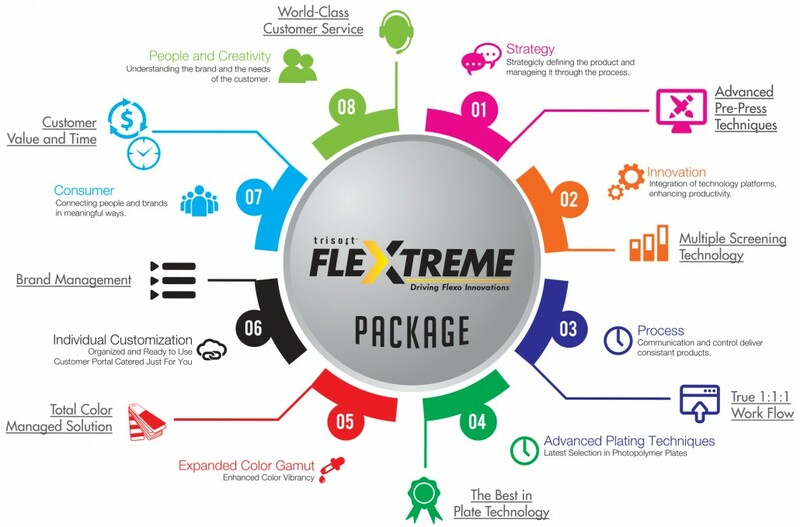 Latest high-end FLEXO RIP’s & and our “True 1:1:1” Workflow which is part of our FlexTreme Technology. with resolutions down to 10 microns for the printed electronics industry. Printed Electronics is a set of printing methods used to create electrical devices on various substrates. 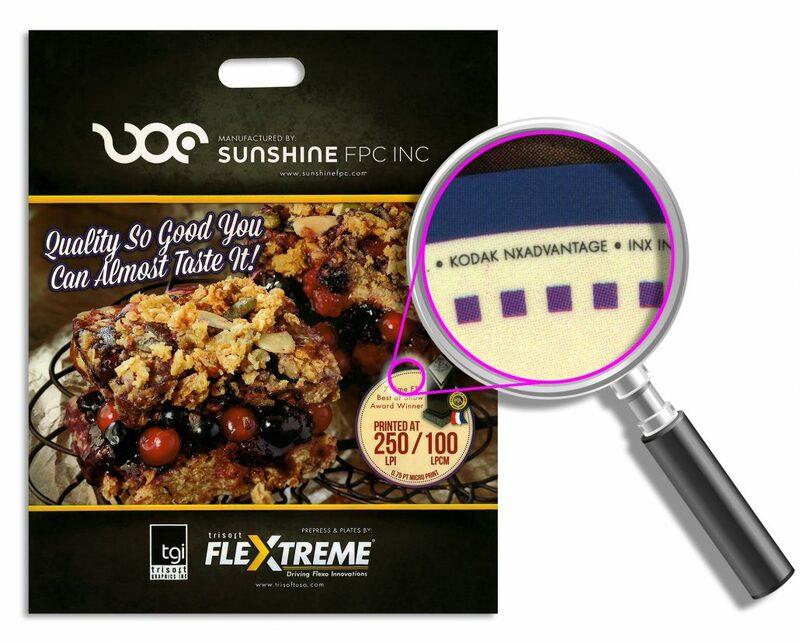 Flexography is a very effective and low-cost method for defining patterns on material. Electrically functional electronic or optical inks are deposited on the substrate, creating active or passive devices, such as thin film transistors or resistors. 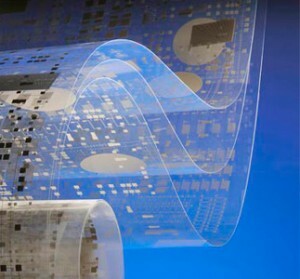 Printed electronics is expected to facilitate widespread, very low-cost, low-performance electronics for applications, such as flexible displays, smart labels, decorative and animated posters, and active clothing that do not require high performance. Trisoft Graphics uses high-definition imaging, creating patterns down to 10 microns. Servicing the Printed Electronics Industry. Using the latest in calibration technology, Trisoft can help you implement a color management system together with certain standards and procedures so you can achieve the highest quality and consistency from file to proof to press. Implementing a sound color management strategy will solve most of these problems, giving you the advantage you need to stay on top of a highly competitive industry. The ability to monitor each step of the production process and predict the result of a press run can mean the difference between a happy or an unhappy customer. 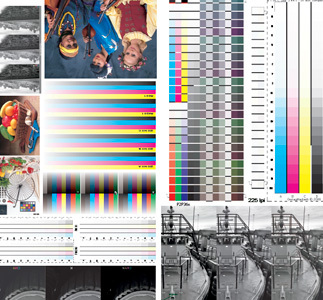 Color management improves print quality, demands tighter tolerances, reduces production costs with almost no trial-and-error which is inherent to CMYK workflows, and provides print consistency and repeatability. 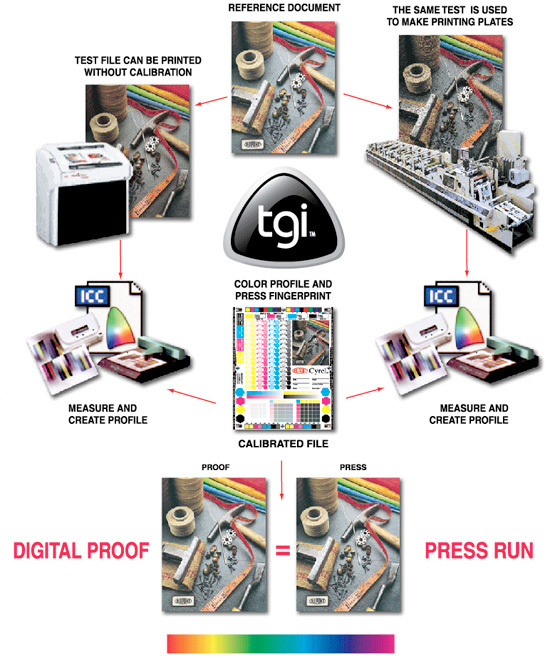 With a color managed workflow, you will virtually eliminate your color matching problems from monitor soft-proofing, digital proofing, digital plates and press, replacing chaos with order. 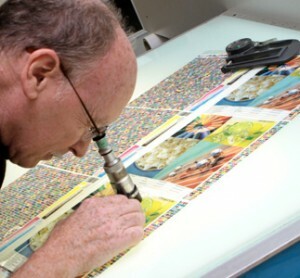 Through the use of strategies and tools, implementing standardization of all printing supplies and processes, press optimization, profiling and characterization of your press, strict quality control measures, and with our help (by providing you a color calibrated digital proof that will match your press runs, you will be able to get on the road to better color process printing. Being in the industry for almost two decades, Trisoft has the experience, expertise, and a team of highly dedicated graphic arts professionals that can help you in your pursuit of color printing excellence. Repeatability, predictability, efficiency, quality… All within your reach! With Trisoft’s extensive experience in flexo technologies and techniques, we can help you print“By the Numbers.” Predictability, repeatability, consistency, and efficiency. Trisoft can help you achieve only this which will increase productivity and reduce waste. It all starts with fingerprinting each press. Fingerprinting will allow us to analyze ink density, dot gain, impression, registration, and other variables to enable you to print better. In tandem with our Direct to Plate technology, we can provide you with optimized plates specifically tailored to your press that can reduce dot gain and improve print quality. With Trisoft’s extensive experience in Flexo Technologies and techniques, we can help you print “By the Numbers”. Predictability, repeatability, consistency, and efficiency, Trisoft can help you achieve these which will increase productivity and reduce waste. It all starts with fingerprinting each press. Fingerprinting will allow us to analyze ink density, dot gain, impression, registration, and other variables to enable you to print better.